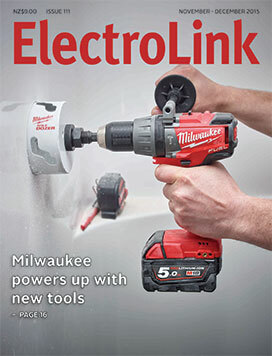 Three years ago Milwaukee set a new performance benchmark for cordless drills and impact drivers with the launch of its 18 volt FUEL range. The ground-breaking FUEL system design put more power and control in the hands of electrical tradesmen than ever seen before, and now Milwaukee has done it again with the launch of its next generation of drill drivers, hammer drills, compact impact drivers and impact wrenches. Nicole White of Techtronic Industries, the distributors of Milwaukee tools, says the new M18 FUEL drills are the most powerfully torqued 18 volt drills on the market, while being shorter, lighter and faster under load than anything in your tool box right now. “All M18 FUEL products have been redesigned from the ground-up to not only increase performance but also to solve everyday problems, enhance safety and maximize user comfort and productivity,” says White. Has innovation been regulated out of the industry? Up until 2010 the electricity regulations encouraged innovation in the way they allowed electrical work to be carried out. Cited standards covering work were not mandatory but simply offered pathways to electrical safety that were approved by the government and were deemed to comply with the safety requirements set in regulation. If an electrical worker opted to use a standard like AS/NZS 3000 to carry out prescribed electrical work (PEW) the government would treat the work that conformed to the standard as safe and compliant. This was a performance-based approach where the result or outcome was mandatory, but there was flexibility in how a worker chose to do the work and did not have to use a particular standard, design or installation method so long as he arrived at a safe result. Unfortunately much of the innovation opportunity afforded by this flexible approach was taken up by many workers as a means of avoiding compliance. The safety methodologies laid out in AS/NZS 3000 were ignored and no equivalent safety method was devised and utilised as an alternate pathway to the required safe outcome. The dubious practice of semi-skilled taggers testing and tagging power leads has now caught the attention of the government’s Rules Reduction Taskforce. Set up to identify what it called ‘loopy rules’, the taskforce released its findings in September of hundreds of legal requirements in many laws that are “out of date, inconsistent, petty, inefficient, pointless or onerous” and provided examples of where “inappropriate interpretation, over-zealous enforcement and lack of focus on the customer” needed to be fixed. Subcontractors and trade sector organisations can chalk up as a major victory the passing of the Construction Contracts Amendment Act that creates a legal protection of all future retention payments. The Act passed into law on October 22 and in a staggered implementation will begin to take effect in December with further provisions taking effect on September 1 next year. The provisions relating to retention payments will not, however, take effect until the end of March 2017. The passing of the Amendment Act concludes a protracted three-year battle by trade sector organisations for a law change to protect subcontractor retention payments from creditors in the event of developers or lead contractors going broke during a construction project. With more electronics and motors being installed today in industrial and commercial sites, power quality is being compromised and networks are suffering increased stress from rising harmonic content and poor power factor. As a consequence, some power companies are increasing penalty charges to encourage electricity users to reduce the effects poor power quality has on their networks. The operation of certain types of electrical loads on a site, particularly large induction motors and variable speed drives can create poor power factor and harmonic distortion of the site voltage. This degrades the efficient use of electrical energy on site and contaminates the wider reticulation network. End-users can face additional challenges with ongoing financial penalty charges and the shortened life of expensive equipment. Fortunately there are readily available solutions to these problems, but navigating the minefield of proper equipment selection can be a daunting task. 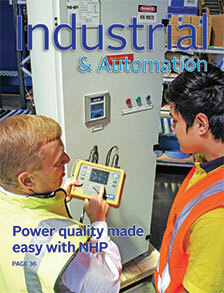 To make this easier for site engineering staff and electrical contractors, power quality specialists NHP has assembled an array of power quality solutions and the engineering skill necessary to help end-users reap the benefits of good power quality and profitability gains throughout the life of the installation. In just a few short years the Industrial Internet (of Things) will change the manufacturing landscape as we know it. This latest technology wave will have a dramatic and lasting impact on the way we automate our factories and manufacturing processes and redefine the interactive boundaries between humans and machines. It will create new and exciting opportunities to lift productivity, reduce waste, grow profitability and increase our international competitiveness. It will further equip industry with new tools to more effectively manage supply chains and react to market conditions in real time. But with formative technology comes risk and it is the risks inherent in internet connectivity – the very cornerstone of the industrial internet revolution – that have to be understood and managed as the critical first step onto the industrial internet pathway. Should MEPS be increased or phased out? Proposals from EECA to introduce more Minimum Energy Performance Standards (MEPS) for fluorescent ballasts and lamps designed for commercial lighting applications have not found favour with lighting manufacturers and suppliers. 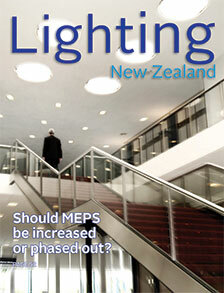 In a written submission to the joint Australian/New Zealand Equipment Energy Efficiency (E3) program, Lighting Council New Zealand (LCNZ) says the commercial lighting industry is in very substantial transition to LED technologies and questions the need for any further intervention to regulate legacy technologies. The lighting council says that, at best, many of the proposals explored in the joint E3 product profile should be considered the minimum necessary to maintain a functioning MEPS system rather than the exploration or development of new or significantly expanded MEPS.